One of the more interesting spring training battles is between super utility player Enrique Hernandez and infielder Chris Taylor. Outside of Charlie Culberson (not on the 40-man) and maybe Logan Forsythe (in a pinch), the Dodgers don’t have a surefire backup shortstop. Hernandez was in my initial opening day roster projection from two weeks ago. With Trayce Thompson showing he’s healthy and Franklin Gutierrez on board, I’m not so sure that spot is going to be Hernandez’s. Thompson can handle center field and Gutierrez hits lefties incredibly well — both things that gives Hernandez an edge over Taylor. Hernandez had a monster 2015 season (1.7 fWAR, 4.7 WAR/600) before falling off dramatically in 2016 (0.2 fWAR, 0.5 WAR/600). He looked like he was going to be the super utility player the Dodgers’ front office covets, but he was so bad last season that his roster spot is in jeopardy. He hasn’t played as much with the Dodgers in spring training because he has been on Team Puerto Rico in the 2017 World Baseball Classic. For the Dodgers, Hernandez has played in seven games and is 5-for-19 with a double, three walks and four strikeouts. For Team Puerto Rico, he’s 4-for-11 with a triple, two walks and two strikeouts. Not that numbers should play a big factor into the final decision, but it seems Hernandez is doing fine. Taylor, on the other hand, has been hitting the cover off the ball in spring. He has a .464/.595/.607 triple slash in 28 at-bats that includes 13 hits, two doubles, a triple, eight walks and seven strikeouts. Coming into this season, Taylor owns a .234/.289/.309 slash line in 318 plate appearances, so his spring performance is the exception, not the rule. But this isn’t going to come down to numbers, per se. This is going to come down to the best fit. At least, it should. If the primary responsibility is to be Corey Seager‘s backup at shortstop, the job should be Taylor’s. He’s the superior infield defender of the two (at all three non-first base spots), especially at shortstop. Hernandez has better defensive metrics (3 defensive runs saved, 37.9 UZR/150), but it comes in just 145 1/3 career innings. Taylor has 3 DRS and a 12.0 UZR/150 in 642 1/3 innings in his career. He also played almost 3,000 innings at shortstop in the minors compared to just 486 2/3 for Hernandez. The scouting reports favor Taylor at shortstop and the infield in general, but Hernandez has the upper hand when it comes to the outfield. While he isn’t a great defender, his experience — 800 innings — is exactly 800 more innings than Taylor. But, the Dodgers have been giving Taylor some looks in center field this spring and, despite the small sample size, has been passable. If Taylor — who has above-average speed — can be even decent in center field, he might keep Hernandez in the minors for a good portion of the season. Both of them have options, so that really isn’t a consideration. Taylor is going into his age-26 season, Hernandez 25. Hernandez has more offensive potential, evidenced by his 2015 season (even if most of the damage came against lefties), but for a guy who might play once or twice a week, it might be better to give Taylor that playing time while giving Hernandez regular reps at Oklahoma City. If the argument is Hernandez might rediscover his prowess against lefties, well, Joc Pederson is set to — at least early on — start against left-handers and Thompson or even Scott Van Slyke are better options in left field against southpaws. There’s no guarantee Taylor will hit enough to even garner a backup utility spot on the 25-man roster, but his glove gives him the edge over Hernandez. If we’re talking about the better all-around baseball player, it’s Taylor, not Hernandez. 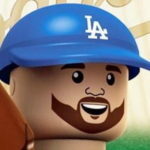 Next Who stands to benefit from Andre Ethier’s back injury?